A timeless and romantic ghost story that will haunt readers long after the last page is turned.When Callie's life is cut short by a tragic accident in her hometown of Charleston, South Carolina, her spirit travels to another dimension called the Prism. Here she meets a striking and mysterious ghost named Thatcher, who guides her as she learns how to bring peace to those she left behind. But Callie soon uncovers a dark secret about the spirit world: Some of the souls in it are angry, and they desperately want revenge. These souls are willing to do whatever it takes to stay on Earth, threatening the existence of everyone she ever cared about.This thoughtful and suspenseful novel is perfect for fans of Gayle Forman's If I Stay and Lauren Oliver's Before I Fall. 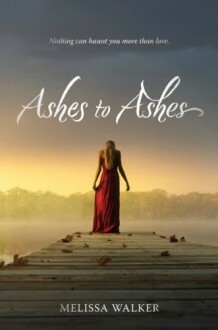 Ashes to Ashes gives a very creative idea about what happens to the soul after death. It makes you think, and I love that in a book. The ending felt a little abrupt to me. I'm hoping for a sequel.